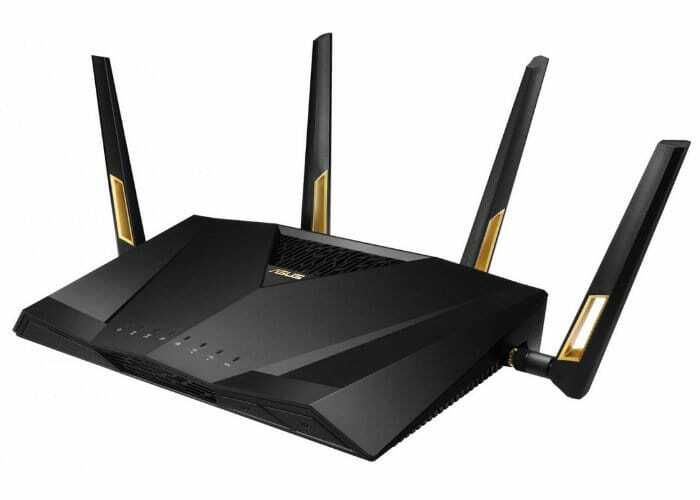 ASUS has announce the availability of its new RT-AX88U WiFi router offering connectivity via the latest 802.11ax Wi-Fi standard, which includes a variety of new technologies that improve Wi-Fi speed and network capacity. Internally the RT-AX88U 802.11ax router is powered by a 64-bit 1.8GHz quad-core processor and offers 8 x Gigabit LAN and 2 x USB ports. Check out the video below for a quick overview. Thanks to support for the latest 802.11ax wireless technologies the ASUS RT-AX88U supports a 160 MHz bandwidth and 1024-QAM to provide ultrafast Wi-Fi speeds of up 6000Mbps – 1148Mbps on the 2.4GHz band and 4804Mbps on the 5GHz band – 2.3X faster than 802.11ac 4×4 dual-band routers. – Next-Gen WiFi Standard – 802.11ax WiFi standard for better efficiency and throughput. – Ultrafast WiFi Speed – 6000Mbps WiFi speed to handle even the busiest network with ease. – Wider Usage and More Convenience – 4 antennas + 8 LAN ports to support more clients at the same time. – Commercial-grade Security – AiProtection, powered by Trend Micro™, blocks internet security threats for all your connected smart devices. – Better Partner with Mesh System – Compatible with ASUS AiMesh WiFi system for seamless whole-home coverage. For more information and full specifications jump over to the official ASUS product page by following the link below.